It's no secret that Superstorm Sandy took a toll on the Jersey Shore. And with the Stronger than the Storm campaign in full swing (and a theme song that stays stuck in your head for days), some of the Jersey Shore's most popular beaches, from Seaside Heights to Belmar, are back with more gusto than ever. But some of the Jersey Shore's quieter, lesser known beach towns are alive and kicking, too. Here are four of our favorites "down the shore" for you to visit before the summer comes to a close. With Victorian homes lining the streets and a picturesque lake in the center of town, Spring Lake couldn't be further from the infamously rowdy, MTV version of the Jersey Shore. Hurricane Sandy wiped out the town's boardwalk, but the new one erected in its place is ideal for early morning runs, walks, and bike rides. The boardwalk is void of any major commercial interests, save for a concession and gift shop run by the town, and the beaches are clean, well-maintained, and attended by families and more low-key beach goers. Be prepared to shell out $10 for a pass, but it's worth it to relax on this lovely beach. Walk through the friendly town of Ocean Grove and you'll find quaint, beach-themed boutiques, great restaurants, and – most surprisingly – a well-maintained tent city. Ocean Grove was founded by Methodist clergymen in the late 1800s as a Christian meeting ground. 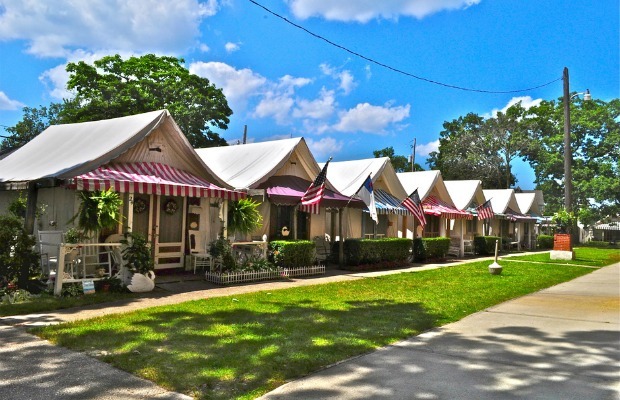 Members of the Methodist community continue to attend these camp meetings every summer while living in this community of tented homes, giving the town a decidedly quirky feel. Ocean Grove's Methodist history also means the town is dry, which lends the beach a quiet family vibe. A new boardwalk has yet to be rebuilt after Sandy damage, but that also means beach badges are slightly less at $8 a day. 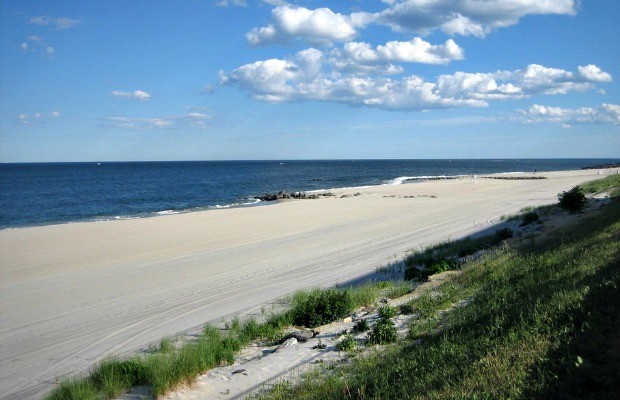 Located just about an hour from New York City, Long Branch is a popular Jersey Shore choice for city dwellers. It's mostly young adults and childless couples that take advantage of the spacious beaches in Long Branch and enjoy the trendy restaurants and upscale shops in Pier Village. There are some chic hotels nearby, too. Beach badges are well-priced at $5 on weekdays and $7 on weekends. Stone Harbor occupies one half of the barrier island known as Seven Mile Island located at the southern tip of the state. 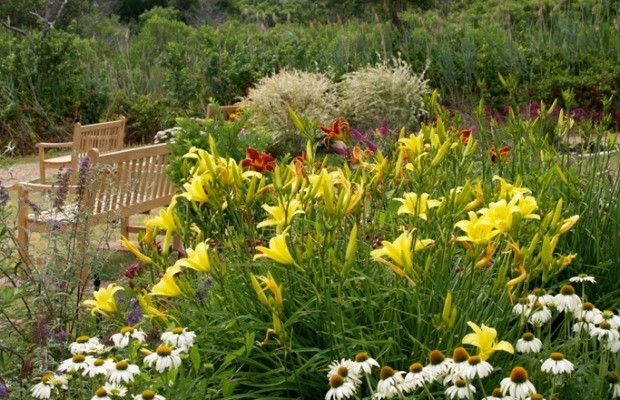 It draws more visitors from Pennsylvania and Delaware than any of the northern shore towns. The historically wealthy borough is less crowded than its neighbor, Avalon, and boasts picturesque beaches and beautiful Victorian homes, and has a small-town vibe. The town also has a strong environmentally conscious streak with The Wetlands Institutue and the 21-acre Stone Harbor Bird Sanctuary. The latter makes for a unique family retreat with its butterfly and songbird gardens, wetlands, and tributaries that are home to herons and egrets.